After looking at all the pseudo-Samsung cards, which includes the Samsung OEM and ‘For Samsung’ microSD, let us now take a peek at Samsung’s official lineup. For the record, the Samsung Plus microSD card has been around for a very long time now. 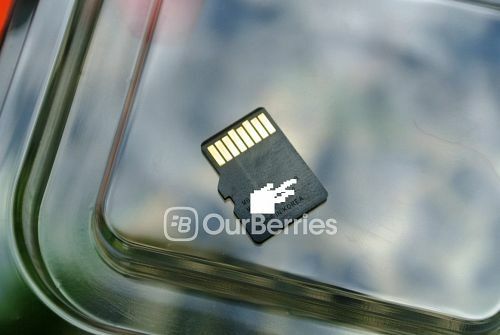 It has been discontinued earlier this year, and this line was replaced with a new series, the Samsung EVO microSD. EVO has been used by Samsung to describe their midrange line up, so if you still are able to find a Samsung Plus, it is probably old stock. 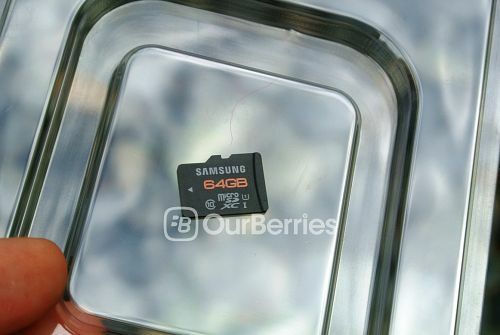 The Samsung Plus microSD card comes typically with the usual microSD-SD adapter, that is a sleek black with text. Then again, these accessories, as mentioned, are very common. Looking at the card, the brand, specifications come in grey text on a black card with the capacity written in orange. As you can see, it has the Class 10 and the UHS-I Class 1 rating printed on it. On the reverse, we have the manufacturing code, serial number and batch number, as well as the origin. Here’s to a no surprise, that the card is made in Korea. Warning: Only 59935 of 59936 MByte tested. 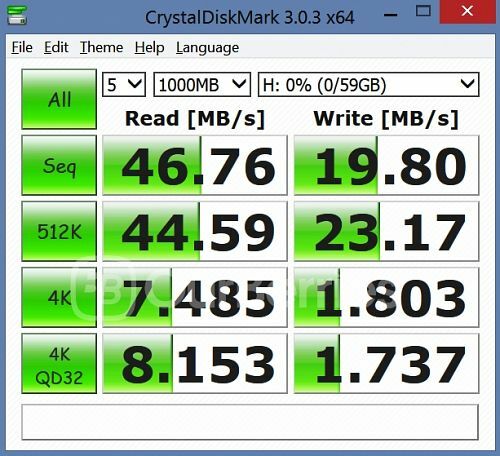 Write started from 18.6 MByte/s and dropped progressively to 18.3 MByte/s and maintained constant. 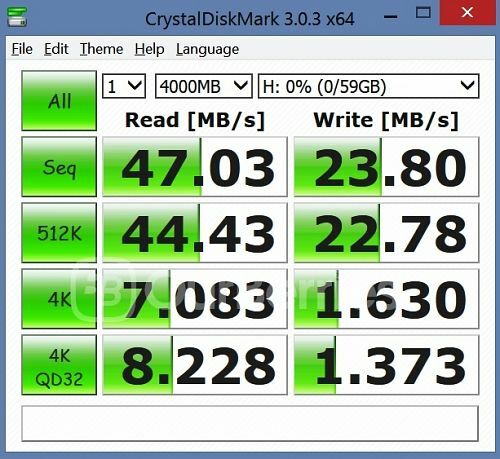 Read started from 40.2 MByte/s and rose to 42.1 Mbyte/s. All in all, the card does not have the fastest sequential speeds but it sure has a extremely good random speed. Yes, I would highly recommend this card for mobile use looking at the speed. 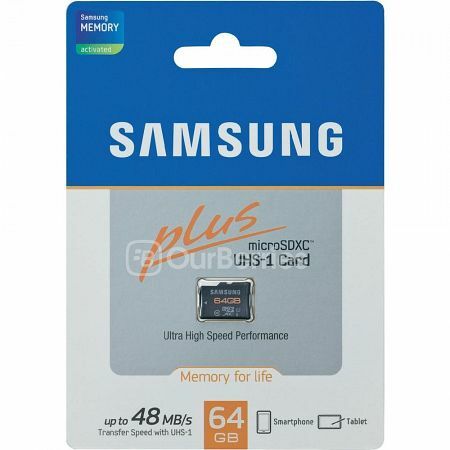 Powered with TLC (or rather, as what Samsung calls it: ‘3-bit MLC‘) NAND at its heart, with a price availability of $48, this card is worth a look, although it is not the cheapest around. 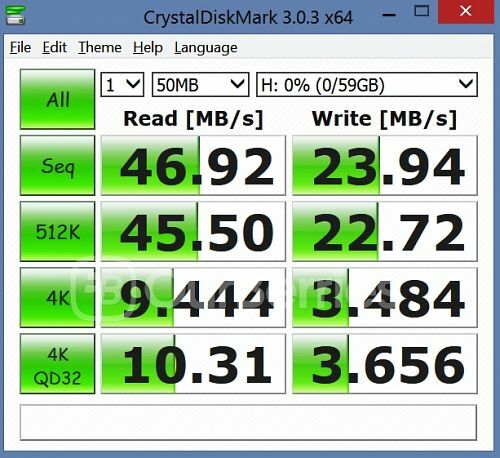 That said, however, if you are thinking of recording 4K video content on this card, we still urge you to reconsider, since it will require at least 30MB/s of performance and none of the cards that we have reviewed to date meets this requirement.